WhatsApp will start with advertising today. An agreement that the WhatsApp founders had after selling the messenger to Facebook has expired today. This agreement included that WhatsApp does not have to generate any money in the facebook group until today. In order to earn money with WhatsApp now advertising should be released in the status function. When exactly the platform starts to distribute advertising is not fixed yet, except that it should be during 2019. 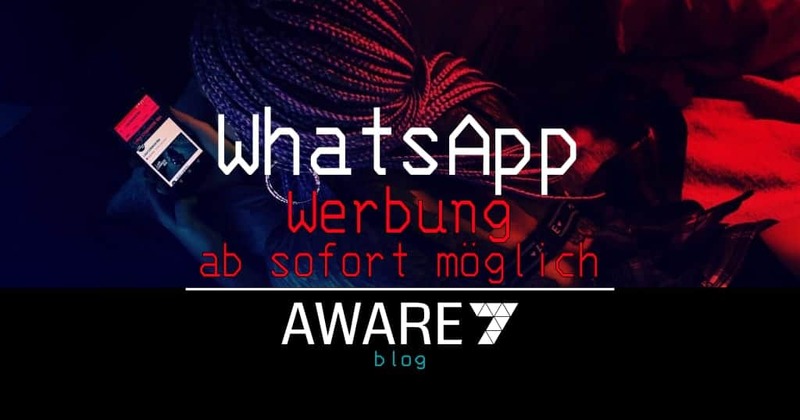 We discuss in this blogpost the meaning and possible WhatsApp alternatives without advertising. Where does the advertising at WhatsApp appear? The status feature has been rolled out relatively quietly at WhatsApp over the last two years. Similar to Instagram Stories, users can share photos or videos with all their contacts, but for a limited time. It is said that 450 million users worldwide use this feature. With this change, companies can now also advertise in the WhatsApp status function. The question is how the personalization of advertising takes place. A first indication could be the end of January 2019 announced push to merge the three platforms Facebook, WhatsApp and Instagram. In this way an exact profile of a user can be created and the advertising rolled out accurately. This, of course, causes a lot of displeasure, especially in Germany and Europe, where last year the GDPR was a step towards more data sovereignty. The ever-increasing collection and analysis of data could cause a rethink of many users and trigger a change of the preferred messenger. There are different alternatives to WhatsApp, but in our opinion there are two alternatives that are especially relevant and promising in the private sector. The first alternative is the swiss Threema. The app offers certified end-to-end encryption and does not require a phone number when registering and using it. Then contacts can be added via an alphanumeric code. Group chats are also managed remotely, so Threema does not know who is in which groups. However, this also has the disadvantage that once an admin is out of a group, the group can no longer be managed. Another alternative is Signal. Text messages and phone calls are encrypted end-to-end and the messenger as well as the cryptography is open source. This means that the source code can be viewed openly and checked by a community. The phone number must be specified on this messenger. A disadvantage of Signal is the somewhat sparse user interface and experience. Both Whatsapp alternatives do not contain advertising. In particular, Telegram is often called the third safe and ad-free alternative. We advise against using Telegram. For example, unencrypted chats are still available, and the self-developed cryptographic protocol does not link cryptographic components in a proven and tested manner. In addition, it is often criticized that the server-side implementation of the protocol is not open source, which can also lead to mistrust.